Ferti-Lome intoduced this spray as a Tree and Shrub spray. It is a systemic which means it soaks into the plant. While it is not specifically noted as a iris spray, it is being widely used for borer control in irises. It is mixed 4 tablespoons to the gallon. 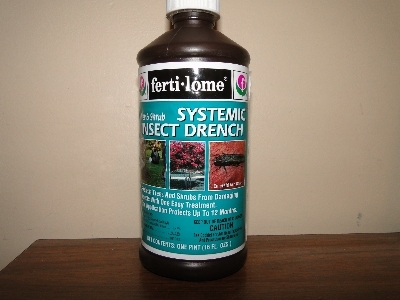 Application is by mixing in a sprayer or mixed in water and used as a drench. We reccommend applying it once a week for 3 weeks in the early spring as temperatures reach 60 degrees.